Hello lovelies, the weather seems to have gone back to normal British weather, the sun never sticks around long enough does it? 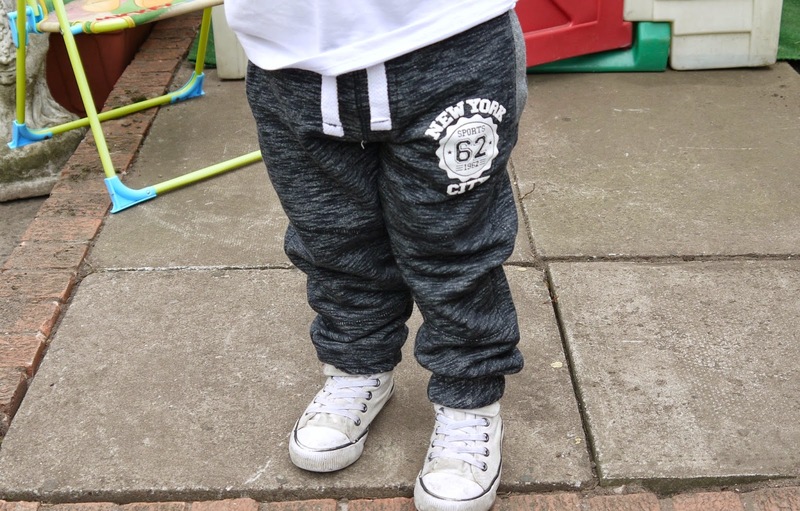 So today I thought I would show you what sort of clothes Oscar wears on a 'comfy' chill day if were just popping to town or staying in the house or he will even wear things like this to soft play as it is really comfy clothing and easy to manoeuvre in. Before it started to rain Oscar had some fun with play dough in his play house and he is modelling a plain white T which actually comes in a pack of three tops from Asda, they come in gorgeous colours seen HERE. For just £6 as well you get three lovely tops that are great quality and last through the washing machine, I also found it amazing hoe he managed to keep this top white through out the day and when he did finally spill something on it the mess came out easy enough without vanish! 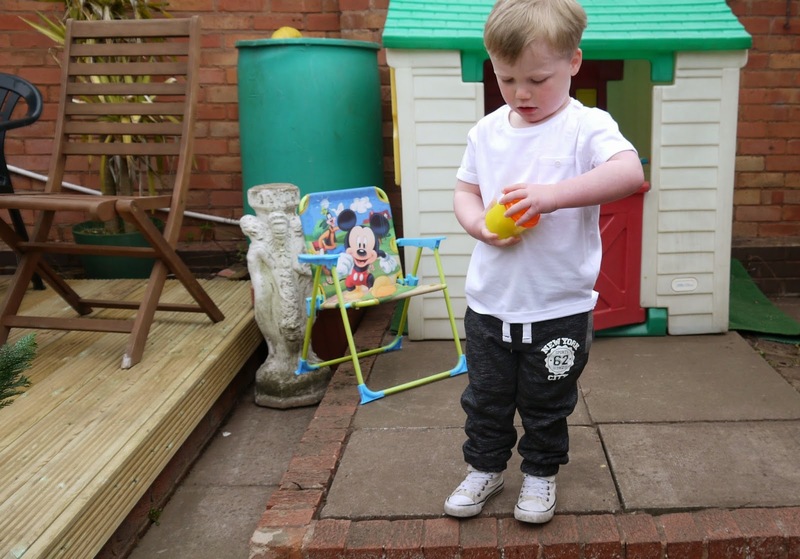 The joggers are super comfy too as much as I prefer Oscar in jeans I like to think of him being comfy and these are quite smart joggers I think so he still looks smart but casual and has all the comfort there. 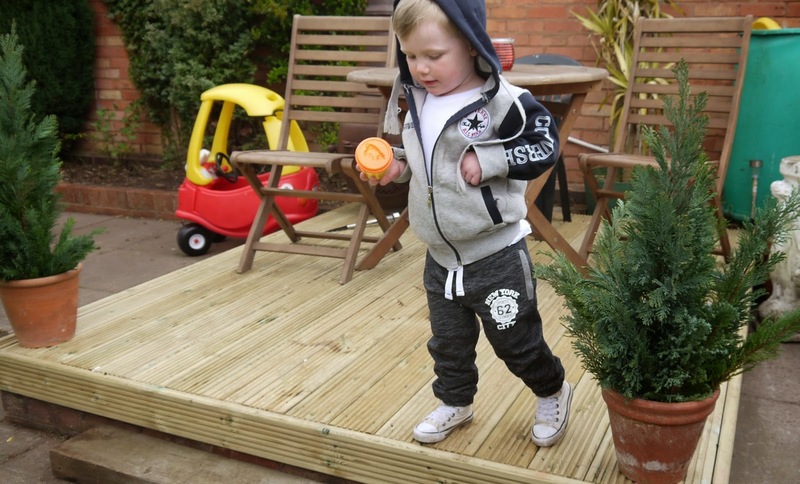 These are his favourite shoes, he picks his own shoes when we go out of his box, if its not these then its his wellies! 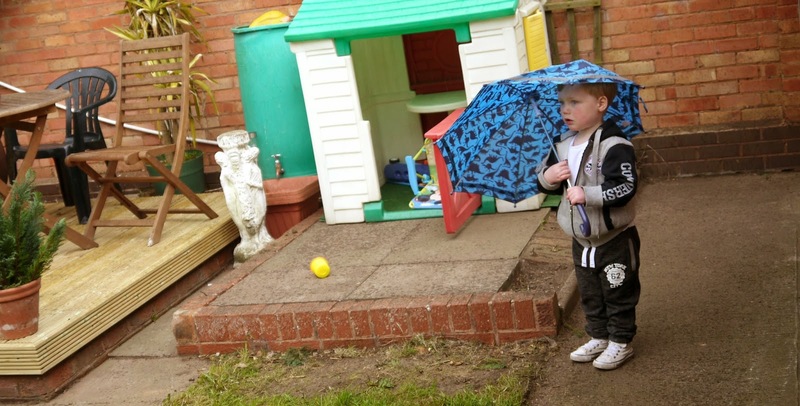 I didn't quite think his dinosaur wellies would go with this look but they would of matches his cute umbrella! 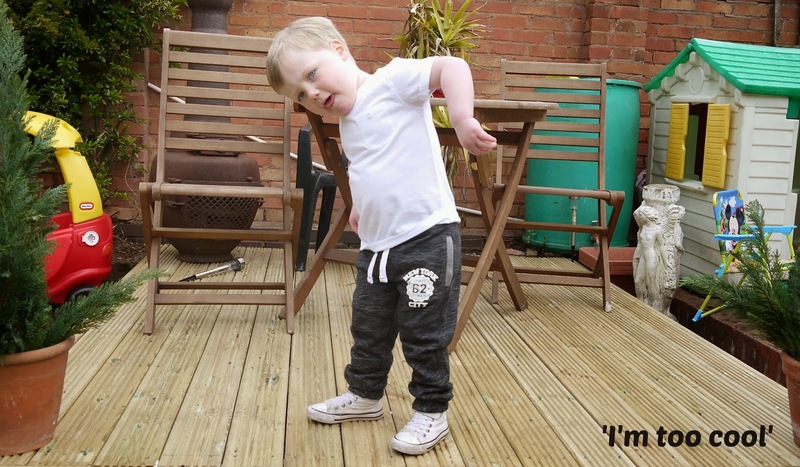 What do you think to comfort and style on little ones? I'm currently eyeing up all the Zara joggers for baby L's arrival!